How can local government cut carbon emissions and boost the green economy? 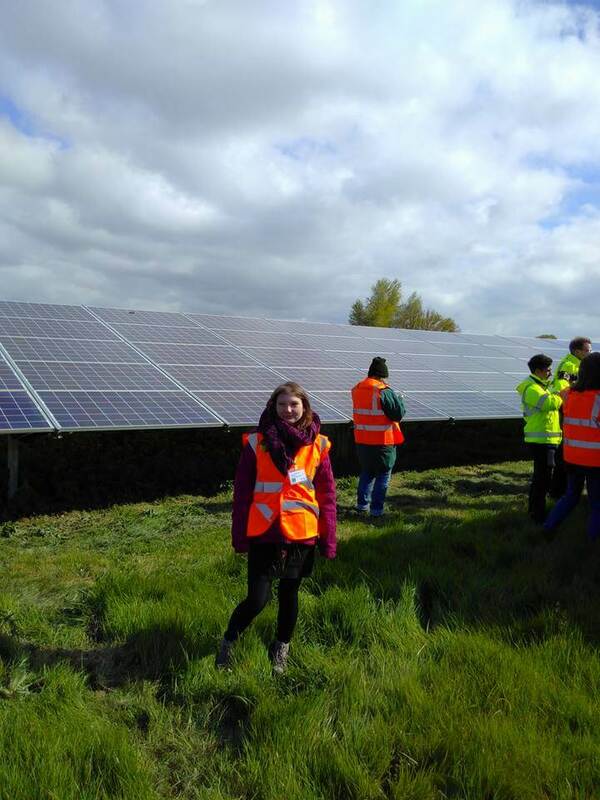 One option is to directly build solar farms, like the Tangmere Solar Farm our marketing officer Tegan Tallullah visited today. Organised by Sustainable Business Partnership, the event consisted of a guided tour of the 25-acre site and networking with around 40 businesspeople from around Sussex. The 5MW solar farm, with 18,000 modular solar panels, produces enough clean zero-carbon electricity for between 1,000-1,500 homes per year. It also saves around 2,000 tonnes of carbon per year by replacing dirty energy with clean solar power. Now the Feed in Tariff is at ‘negligible’ levels, the sector is having to adapt to the new market reality and explore new business models to make projects profitable without subsidy. Your Energy Sussex clearly have a way to make it economic, as they are planning a new solar farm on an old landfill site in West Sussex, starting work in 2017. Solar costs continue to fall sharply, and industry actors understand the need to compete equally in the market. However many still feel the rug was ripped from under them without a smooth transition off the subsidy. This seems particularly unfair given that fossil fuels still have generous subsidies after 150 years of market maturity – not to mention their known climate risks. Still, projects like this one are an inspiring example of what local government can proactively do to grow the low carbon economy. A real success story.